I may be sketching for a few days. This is one view of my alternate studio. It is nice to get back to the basics: pencil and paper. 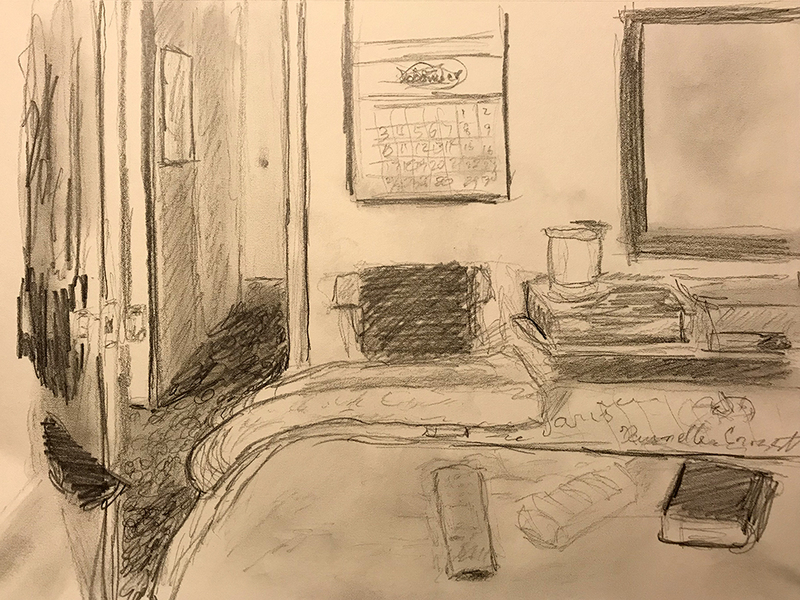 This entry was posted in Personal Stories and tagged art, artistic process, basic drawing, creativity, drawing, pencil drawing, sketching, studio, studio view, visual arts. Bookmark the permalink.